Eric and his site are a total success story, check out the article at The Surf Channel about our website we designed for him! 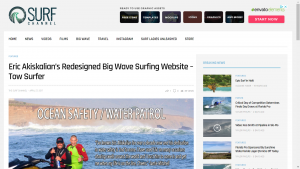 The Towsurfer site is fully integrated with social media and they market daily by posting. The SEO is properly filled out, and the analytics are all setup.